Current area of this district was a part of ‘Koshal rajya’- a prime centre of ancient’arya culture’ surrounded by Himalaya in north, Shyandika river in south, ‘Panchal rajya’ in west & Maghadh rajya in (Bihar) east. Besides many fictions related with this area, astro-historical fossils (‘murtee’,coins,bricks, temples,Budh math etc.) are found at many places of this district, showing that there was a developed & organised society long long ago. Ancient history of the district is related with the Ramayan times when ‘Koshal Naresh’ lord Ram appointed his elder son ‘Kush’ , the king of Kushawati- which is todays Kushinagar. Before Mahabharat times,this area was related with Chakravorty Samrat ‘Mahasudtsan’ & his kingdom ‘kushinagar’ was well developed & prosperous.Nearby to his rajya border was the thick area woods ‘Maha-van’. This area was under control of Maurya rulers,Gupta rulers & Bhar rulers , and then under control of Gharwal ruler ‘Govind Chandra’ from year -1114 to year- 1154. This area was under control of Avadh rulers or of Bihar Muslim rulers during Medieval times,is not very clear. There was little control of oldest Delhi rulers – Sultan , Nizam or Khilji’s on this region. There is no description of this area in east war/attack/invasion scripts by muslim historians meaningby muslim invaders would have seldom visited thick wood area of this region. Many places of this district played an important role in the modern history of this district.Important ones are- Paina, Baikuntpur, Berhaj, Lar, Rudrapur, Hata, Kasia, Gauribazar, Kaptanganj, Udhopur, Tamkuhi, Basantpur Dhoosi etc. Gandhiji addressed Deoria & Padrauna public meetings in 1920.Baba Raghav Das had started movement in april’ 1930 regarding ‘NamakMovement’. In 1931,there were wide movement against government & landlords in this district. Many more people joined Congress as volunteers & marched several places of the district.Sh.Purushottam Das Tondon in 1931 & Rafi Ahmad Kidwai in 1935 visited different places of this district. During Quit India Movement , as much as 580 people were sent behind the bar for different duration. Deoria District came into existence at March 16′ 1946 from Gorakhpur district. The name DEORIA is derived from ‘Devaranya’ or probably ‘Devpuria’ as believed. According to official gazzettes,the district name ‘deoria’ is taken by its headquarter name ‘Deoria’ and the term deoria generally means a place where there are temples. Deoria name developed by a fossil(broken) Shiva Temple by the side of ‘kurna river’ in its northside. Kushinagar (Padrauna) district came into existence in 1994 ‘ MAY by separating north-east portion of Deoria district. 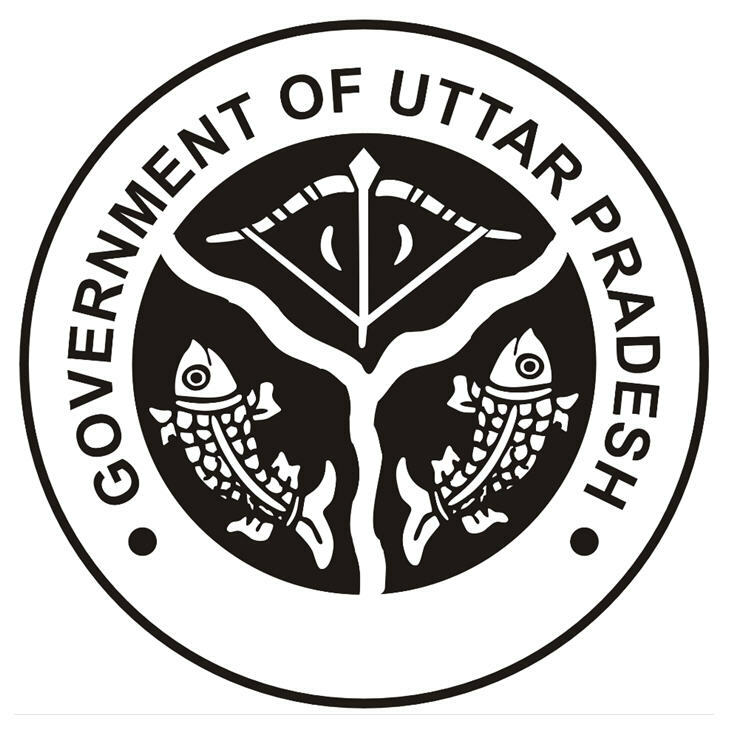 The present district Deoria is situated in eastern zone of Uttar Pradesh. According to official gazzettes , the district name ‘deoria’ is taken by its headquarter name ‘Deoria’ and the term ‘ DEORIA’ generally means a place where there are temples. In previous time it was a part and parcel of Gorakhpur district. By separating from Gorakhpur it came into existence as a district on 16th March 1946. On 13.5.1994 by carving out district Deoria, a new district Kushinagar (formerly named Padrauna ) had been created, by transfering of entire tahsils Padrauna, Hata and Tamkuhi Raj of Deoria district to Kushinagar district and after that it was renamed Kushinagar in 1997. The origin of this district is acknowledged as ancient place of Devaranya and possibly Deopuria. According to the government records the name of this district is associated with the name of its headquarters. The origin of the name Deoria is derived perhaps from the remnant (broken) of the Shiv temple situated on the mound on the side of ‘Karn river’ flowing in the north of Deoria. The entire area of the Kosala Kingdome was an ancient centre of Aryan civilization. As for the rest, many archaeological remnants are found in the form of images, coins, super abundance bricks, temples, stupas and remains of abbeys of Buddha at many places of the district which signifies that there was a developed and organised social life since a long time. The story goes that once upon a time the cow of Vashistha muni was grazing in the forest, where a tiger came and crried away her. On the way it marked a place with her ‘Lar’ (Saliva) falling her mouth. For this reason this place particularly was known as Lar, which became town now, and is situated at a distance of 38 kms. in north-east from the headquarters of Deoria. Another ancient place is Sohanag of cultural importance where main character of ‘Ramayan’, Parasuram residing here, used to practised penance, meditate and worship. In consequence of this the place was known as ‘Parasuram Dham’. There is an ancient pond where two images of the parents of Parasuram. Jamdagini and Renuka are placed in the temple of Parasuram. Along with many relics of Brahmanical system, it is also a birth place of Tirthankar of Jainism. Many remains of Brahmanical systems are found in Khukhundu along with the Jain temple. Images of Shiv Parvati, Ganesh and fourarmed Vishnu are carved out from blue stone. In pre-epic period there was only one Chakravarty ruler whose name was ‘Mahasudassana’. The reference of whose name acquires in ‘Maha sudassana suttanta’. There was none to stand against him. In Mahabharat period Mallas had gained complete ascendancy on this tract. The present regent of Malla suffered defeat in the hand of Bhimsen (one of the Pandavas) on occassion of Rajsuya yagya. After Mahabharat (1400 B.C.) Mallas were succeeded to re-establish their authority and they organised themself in a Gantantra (Republic) and this empire remained intact upto the death of Buddha. They were disciples of both ‘Buddha’ and ‘Mahavir’. They used to go in the district in order to preach sermons. Testimony in this regards acquires in the form of sculpture, clay, seals, votive tablets, ruins of stupas and monasteries. The mounds at Sohnag corroborate the recourse of Buddha. After the end of Buddha’s life his cousin and disciple Aniruddha came in order to give consolation to the Mallas went to the place where funeral rites of Buddha were performed. By the cause of Buddha’s staying in Pavanagar (presently Fazilnagar) this place has become a religious centre at international level for the followers of both ‘Budhism and Jainism’.